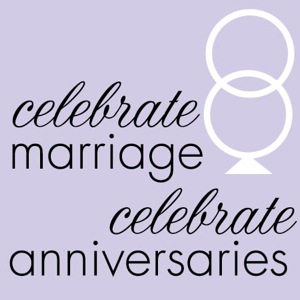 Our third anniversary is this month, although, not that long ago I would not have even believed that it would be possible to be married again after a divorce. I would have said it was even less likely to be so happily remarried to my first husband! Oh, but God. Only God could have orchestrated our lives to be where they are now. and even tears… healing tears, painful tears, emotional tears, and finally – tears of joy and gratitude. The turning point in our story occurred about 2 years after our divorce. We were at a new juncture of civil companionship, meeting for church service at the church that hosts our recovery program. I saw the marquee when I pulled in the parking lot announcing a sermon about healthy marriage lessons. I confess, I almost did a U-turn right there. It was not an enjoyable sermon experience for me and probably not for my ex. Pastor Butch was a guest who presented this healthy marriage lesson and his teaching was sound, honest, concise and passionate. Unfortunately, it stung. Believe it or not, in that sting there was the planting of a very important seed though. A seed of hope and a source to fuel that hope. In celebrating 3 years Remarried, we also celebrate an entirely new marriage relationship – built on a Godly foundation and sustained by His Grace. …so, would you be interested in learning from us? This entry was posted in The Next Chapter and tagged christian marriage, divorce recovery, faith and marriage, marriage counselling, marriage recovery, marriage restoration. Bookmark the permalink. Reblogged this on a Silver Garden. I divorced my husband after almost eleven years of marriage, back in 1995. We had three very small children at the time. We were remarried after eight months. This past weekend we celebrated thirty-three years of marriage. My lack of faith contributed to the divorce, my discontentment. Literally nothing my husband had done. He was a good husband and a great father. Those eight months were used mightily of God to change me. It was a very difficult time, but I would not trade the person I became or what I learned from those months apart. We also went on to have two more children. God can and does heal. So happy to hear your story and I will keep you in prayer. Thank you for sharing! Your story makes my heart smile! God bless you All!! Oh how I love hearing how God has things figured out for us!!! Hallelujah, I am shedding happy tears since our story is so similar to yours!!! We started sharing our story in our blog that is now our travel blog. But here is the start of the marriage blog which is 26 “chapters” long. It was so amazing to remarry as we now enjoy our grandsons TOGETHER!!! Our son-in-laws parents divorced and each remarried others. The first birthday party for our first grandson (and their second as their daughter had a son the previous year) was almost ruined by their fighting!!! It was just horrible and now some family members won’t return to the parties (second grandson was born two years later just three days off of the oldest one’s birth DATE). What an eye opener it was and no one knows the ramifications down the road of divorce….